mommy's reviews: L.A. Looks Model Search Contest PLUS Review & Giveaway! L.A. Looks Model Search Contest PLUS Review & Giveaway! When it comes to my hair, I am pretty picky what I use. I tend to stick with brands that I know and trust and rarely do I try new things. I love doing my hair and try to keep it simple these days, having four children makes getting my hair done on a daily basis challenging. :) I remember the days when I used to set my hair in hot rollers, use a curling iron and make it look gorgeous. Now, that happens only when I am going to a wedding, special occasion or a date with my husband. Do you have what it takes to be named ‘best tressed’? 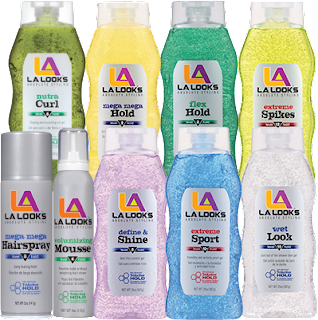 L.A. Looks® the iconic hair gel brand, has announced that it is on the hunt for a new hair superstar to become the next L.A. Looks model for 2015/2016. The brand’s Facebook fans are encouraged to enter now to submit a photo showing off their hottest, red carpet ready “L.A. Look.” Male and female fans will vie for the chance to win a trip to L.A. for a professional photo shoot and a surprise VIP experience, including airfare, L.A. car rental, hotel and a trip stipend. To enter the L.A. Looks model search contest, women and men 18 and older must visit the L.A. Looks Facebook page, become a fan, and submit a photo through August 2, 2015. Entries will be judged on originality, creativity, quality of photo and overall appeal. Using these criteria, the judges will select 10 women and men for the finalist stage. Starting on August 24, 2015, L.A. Looks will have its fans vote and determine who the two grand-prize winners will be, with the winner announcement to be made on September 13, 2015. The model search will be promoted on high-profile packaging, in a national free standing insert, on social media and the website. With the great success of the last two L.A. Looks model searches, the brand is excited to have their fans choose the next model that embodies the L.A. Looks’ aesthetic and spirit. Winners of this year’s model search can look forward to enjoying a glamorous trip and also being featured on high profile L.A. Looks marketing materials as the new face of the iconic hair care brand. Wow! Sounds so exciting!! Make sure you visit their Facebook page to get your entry in ASAP. I would love to see one of my readers win this contest. How cool would that be?!? 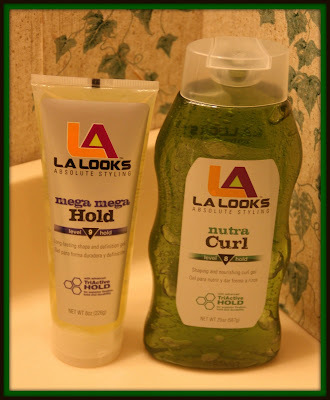 So, for this review I was sent two L.A. Looks products to try out. I was sent the Mega Mega Hold Gel and the Nutra Curl Gel. Both of these looked awesome and I could not wait to try them out! These gels are clear and light green in color and honestly, a little goes a long way so you don't need much. The Mega Mega Hold Gel is designed for those of you who love to spike, shape, mold or slick your hair into the style that you love the best! When I met my husband, he used hair gel regularly and it made him look so handsome. He gets his hair buzzed pretty short now and I miss that gel look that he used to have. The Nutra Curl Gel is made to moisturize damaged hair and gives curls a defined, frizz-free look. Here in our house, we don't have any curly-heads but I can still use this for my hair and my daughter's hair as well to help it stay put when things are hot and humid. My son is in bad need of a hair cut and honestly, I just haven't had the time to cut it. (I do it myself). 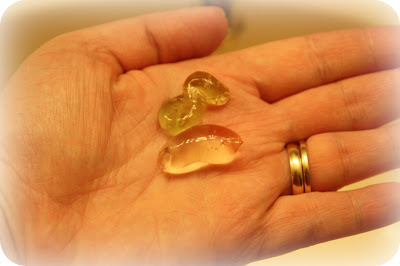 So, he made the perfect model for trying out the Mega Mega Hold Gel. Isn't he adorable?!? I just put a small amount in my hand and worked it into his damp hair. It held his hair wonderfully and the spikes stayed put for quite a while. What I really loved was that this gel wasn't slimy and didn't make his hair look greasy at all. So great. 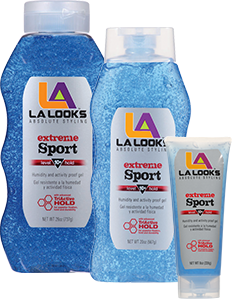 L.A. Looks products are available and mass retailers and drug stores across the country and are very affordable. 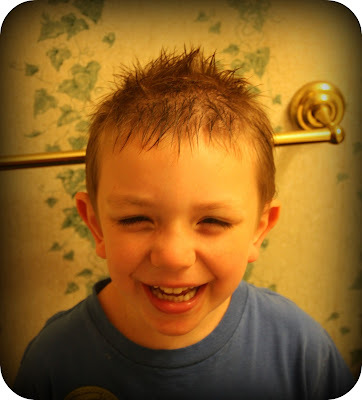 I would definitely purchase them again, I love the way my son's hair looks when it is gelled. He is adorable. Disclaimer: I received no monetary compensation for this post. I did receive free products for review purposes. All quotes and stock photos are from the L.A. Looks website and email. Prize is being provided and shipped by the sponsor. This blog is not responsible for lost, stolen or damaged prizes. All thoughts and opinions are 100% mine. Your giveaways are always great! I would like to try the Volumizing Mousse. I would like to try Mega Mega Hairspray. I would like to try the Absolute Curls Curl Defining Creme. I would like to try the Define and Shine. I would love to try the Absolute Curls Curl Defining Creme. I think I need the Mega Mega hairspray. I'd like to try the Flex Hold Level 8 Hold Gel! I want to try the Define & Shine. I'd like to try their Mega Mega Hairspray. Thanks. I want to try their Nuta Curl Gel! I would like to try out the Define & Shine. I would love to try the Volcanic Rush Glue Gel. The volumizing mousse would be nice. I would like to try the Mega Mega Hairspray. I would like the Extreme Sport & Mega Mega Hold. I'd like to try the Volumizing Mousse. I would like to try the Mega Mega Hairspray. I have hard to hold hair!